Lighting Industry Certifications ensure that we are operating with the highest quality services, products, employees and energy solutions. This ultimately helps you reduce your long-term investment through a guarantee of quality workmanship. Check out the following certifications and certifying organizations to find out more about our qualifications and what they mean to you. Description: The NCQLP is a non-profit organization founded in 1991 to serve and protect the well-being of the public through effective and efficient lighting practice. Through a peer-review process, the NCQLP establishes the education, experience, and examination requirements for certification in the industrial lighting industry. 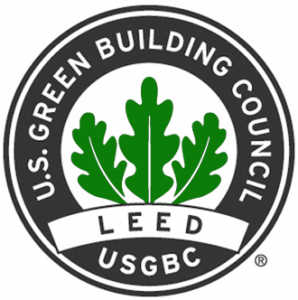 Description: Green Building Rating System, developed by the U.S. Green Building Council (USGBC), provides a suite of standards for environmentally sustainable construction. Since its inception in 1998, LEED has grown to encompass more than 14,000 projects in 50 US States and 30 countries covering 1.062 billion square feet (99 km²) of development area. The hallmark of LEED is that it is an open and transparent process where the technical criteria proposed by the LEED committees are publicly reviewed for approval by the more than 10,000 membership organizations that currently constitute the USGBC. Description: NALMCO offers home study certification programs which are indispensable for both entry-level and midlevel lighting management personnel. They are the Certified Apprentice Lighting Technician (CALT) and the Certified Senior Lighting Technician (CSLT) designations. Not only do they teach basic and advanced lighting and lighting management operations, they increase the professionalism of your business and serve as an important bridge toward obtaining the Certified Lighting Management Consultant (CLMC) status. Description: AEE’s Certified Lighting Efficiency Professional (CLEP) program is designed to provide recognition for professionals who have distinguished themselves as leaders in the field of lighting efficiency. 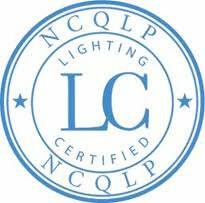 The designation CLEP identifies individuals who have demonstrated high levels of experience, competence, proficiency, and ethical fitness, bringing to their professional activities the full scope of knowledge required to the development and implementation of effective lighting efficiency and energy solutions within the commercial, industrial, institutional and governmental market sectors. Contact our lighting company in Denver today to learn more about these qualifcations or to see how our electircal contractors can put these skills to work for your business!